this spring swap was organized by the Lili of the Valley Facebook group. My swap mate was Miria. 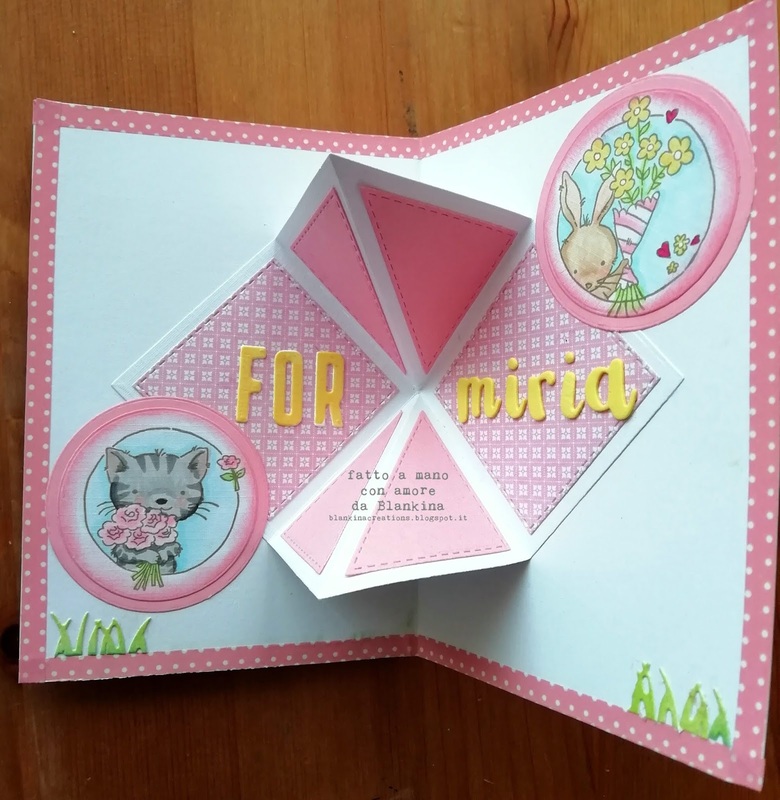 This is the card I have made for her. white lines with a Molotow pen, the blue was colored with my Copic ( B000, B 01 ). 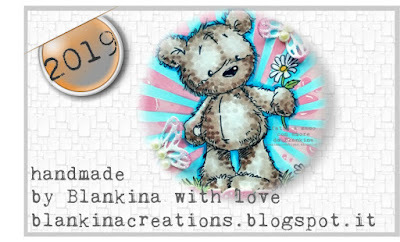 The sweet bear was colored with Copic ; E 41, E 42, E 43, E 44 . 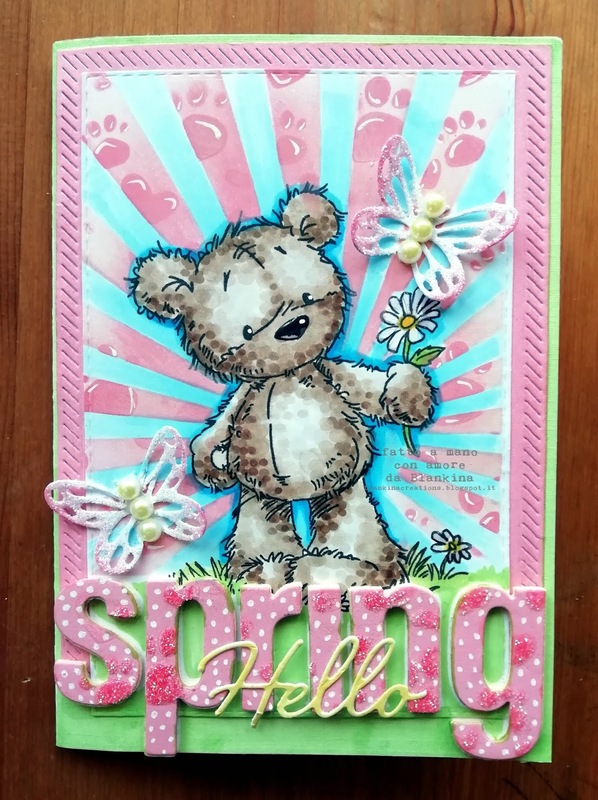 I have used pink paper added some pawprints with the stencil and added some glitter on top. The white dots with my white Molotow pen. Hello is a die from the Greeting Farm. with a Crealies die I made the pop up part. the border with some washi tape. For die from Modascrap, miria die from Marianne Design. and as there is a new challenge ( numbers/figures ) I thought I could join . but unfortunately she can not have cats at here house. So this Christmas she will have a cat card better than nothing. Would be nice to have you as a follower. dat ik dacht ik ga maar eens meedoen met de challenge ( nummers ) . maar helaas thuis geen katten kan hebben. Heeft ze in iedergeval toch nog een kat met de kerst . alle links kan je hier vinden. Zou leuk zijn al je me wilt volgen. 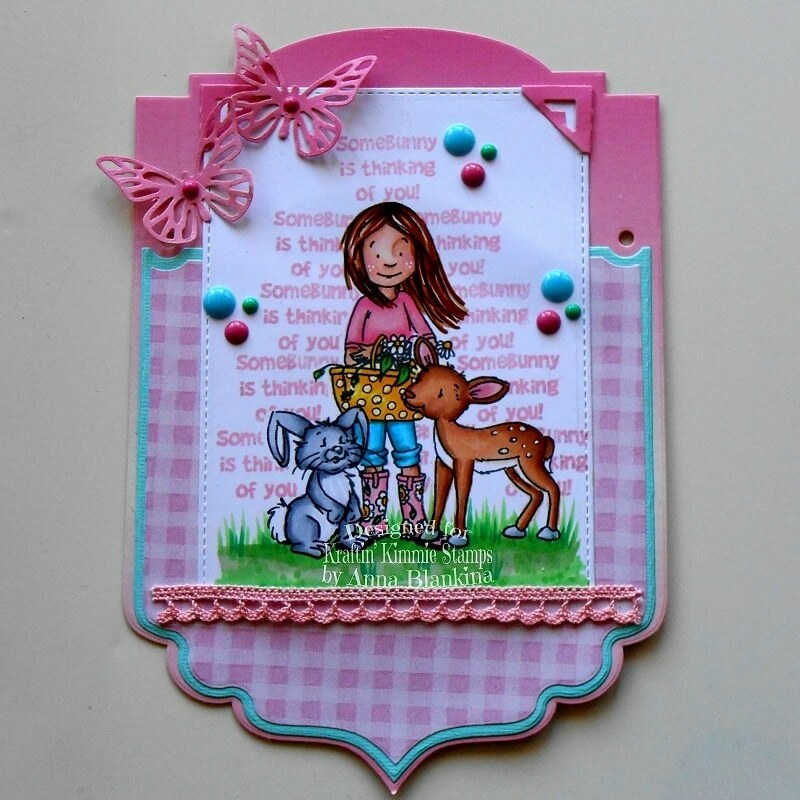 I have made a card with the set Fawn'd of you from the March release at Kraftin Kimmie. This set is lovely to create spring cards, for birthdays , Easter or even Birth cards using the animals..
how I did the repeated stamping of the sentiment. Hope you will enjoy the video :) . 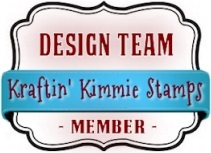 PS Did you see the new april collection of Kraftin Kimmie ?